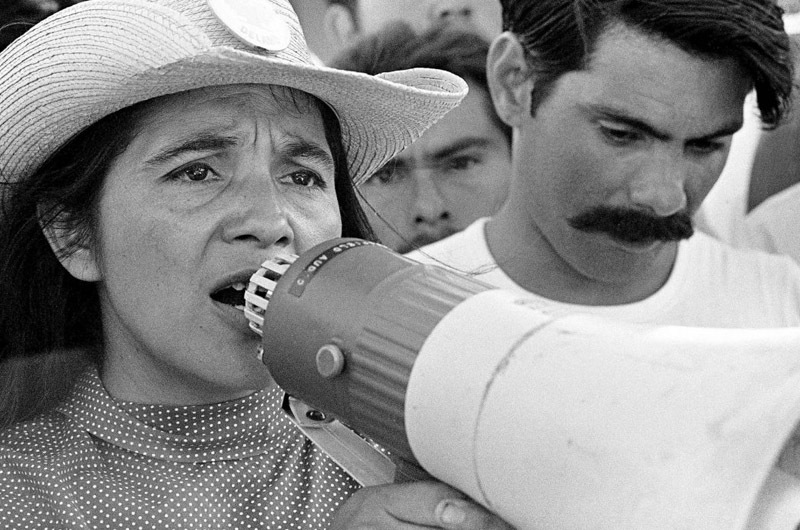 Dolores Huerta, pillar of labor and civil rights movement, is featured in film Dolores. 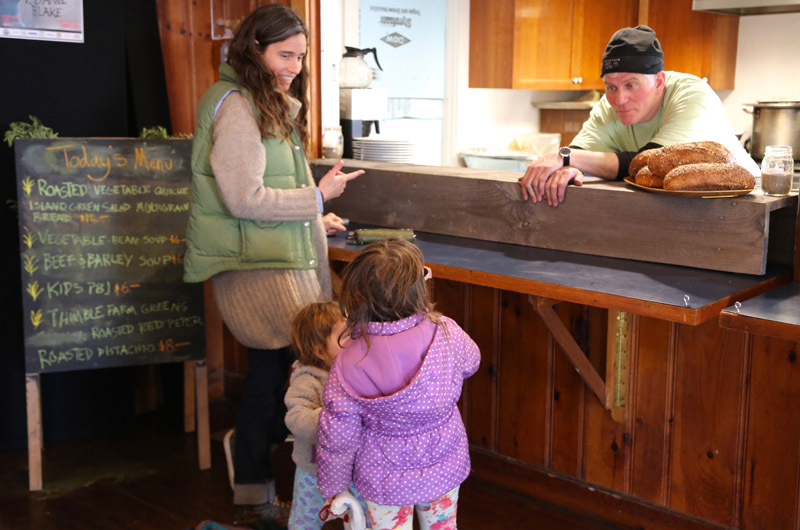 After an electrocution accident maimed and almost killed him, 30-year-old Eduardo Garcia was determined to regain his former life as a chef and outdoorsman in Montana. Jane Jacobs challenged New York power player Robert Moses in her fight to preserve city neighborhoods. Bill Nye is on a mission to defend science from climate change deniers and religious fundamentalists. 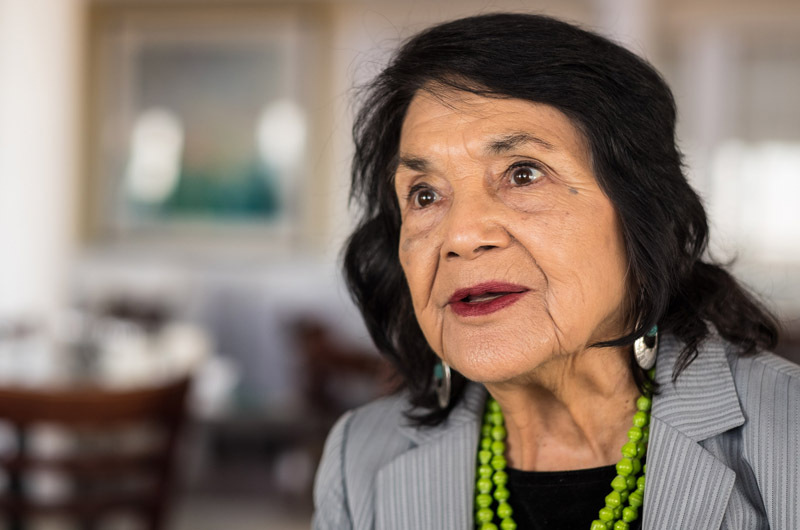 And, at almost 87, Dolores Huerta remains an undaunted organizer for social justice. 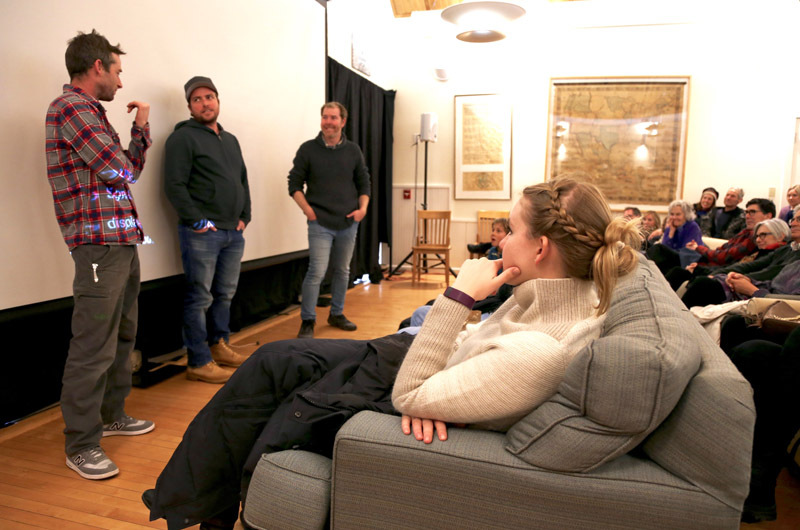 The 17th Martha’s Vineyard Film Festival celebrated these and other determined souls in a four-day program that brought full houses and standing ovations to the Chilmark Community Center, Chilmark School and Pathways Arts over the weekend. Managing director of the festival Brian Ditchfield called it the best year yet. Ms. Huerta, a pillar of the labor and civil rights movements and the woman who coined the rallying cry “Si, se puede” (Yes, we can), was one of several documentary subjects who traveled to the Vineyard for the festival, taking part in question-and-answer sessions after screenings. The film Dolores, directed by Peter Bratt, aims to bring Ms. Huerta’s life and achievements out of the shadow cast by Cesar Chavez (1927-1993), the charismatic activist with whom she founded what became the United Farm Workers union. But in a conversation with the Gazette Friday afternoon at the Harbor View Hotel, Ms. Huerta said she does not feel marginalized. Ms. Huerta is not resting on any of these laurels. Her Dolores Huerta Foundation, which campaigns for social justice, is receiving more attention as a result of the film, and she’s ready to seize the opportunity. “I’m getting more requests for speaking engagements,” she said with a smile. After Friday’s screening of Dolores, Ms. Huerta took questions and taught the community center audience a new rallying cry. The weekend featured some short subjects — including a program dedicated to Vineyard filmmakers — and a handful of feature films, notably The Last Word, starring Shirley MacLaine as a controlling woman who changes her ways in order to have a more appealing obituary when she dies. 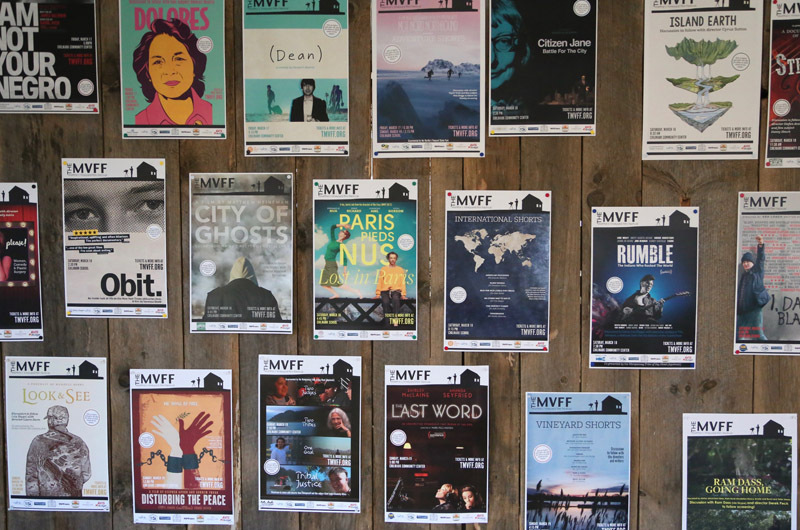 But documentaries are the meat of this festival, and audiences feasted on true stories from the U.S. and abroad. Not for the squeamish, Charged: The Eduardo Garcia Story is an unflinching look at how Mr. Garcia, with the help of his best friend Jennifer Jane, overcame grievous injuries and testicular cancer to become a celebrity chef. As hospital scenes give way to Mr. Garcia’s recovery, we see him using his prosthetic arm and hook to tie fishing flies, shoot arrows and crack eggs. “I really feel this urgent need to say thanks at large,” he says in the film. Mr. Garcia, Ms. Jane and director Phillip Baribeau also took questions from the audience after the movie. “I hope it inspires people to look within and say, ‘What do I want to do?” Mr. Garcia told the crowd. Daniel Houck of Laurelville, Ohio is another man on a mission, whose obsession with crafting a replica of Niccolo Paganini’s famous Guarneri violin is chronicled in the suspenseful documentary Strad Style. Filmmaker Stefan Avalos, who appeared with Mr. Houck after the screening, told the audience he had been working on a documentary about violins when he got word of this rural Ohio instrument maker. Living like a hermit in a rickety, unheated house, Mr. Houck had no formal training in making violins. A believer in magic, he burned candles and incense to invoke the spirits of Antonia Stradivari and Giuseppe Guarneri, the great luthiers of 17th-century Cremona, as he struggled to recreate Paganini’s famously resonant Guarneri Cannone for the Romanian violin virtuoso Razvan Stoica. Along the way, Mr. Houck also begins to emerge from his solitude and confront his fears. Other documentaries focused on Native American subjects, the life of James Baldwin, The New York Times obituary writers and the writer and farmer Wendell Berry and spiritual leader Ram Dass. Indeed, there was a subject for everyone and the post-screening discussions continued out in the hay cafe and during fireside chats. 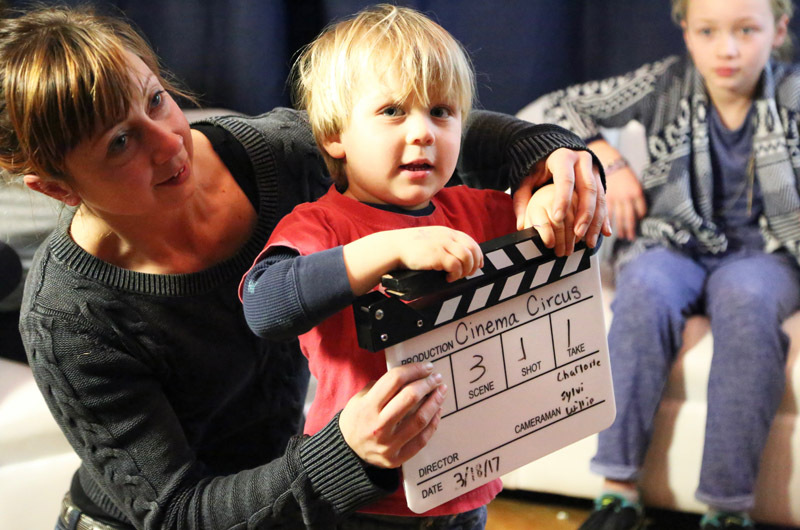 The festival also featured locally grown meals, live music from an assortment of Island performers, and workshops for kids to begin training the next generation of filmmakers. Festival founder and executive/creative director Thomas Bena said he was grateful to all the filmmakers and to the Island community. Early Monday, Hilary Dreyer, the operations manager and filmmaker liaison, said goodbye to the last guest of the weekend, film subject Hon. Claudette White from the movie Tribal Justice. “She couldn’t get over how welcomed and included she felt by our entire community,” Ms. Dreyer said. More photos from the film festival and sketches from the Hay Cafe. Thomas Bena stated, at the screening of "Tribal Justice", that he felt these lands still belong to the Native people so I don't think he intended his "subculture" statement to be offensive but referring to any culture as "sub", particularly the Wampanoags, is the kind of thinking we need to break down and dig into if we're ever going to have a chance of becoming a truly just society.